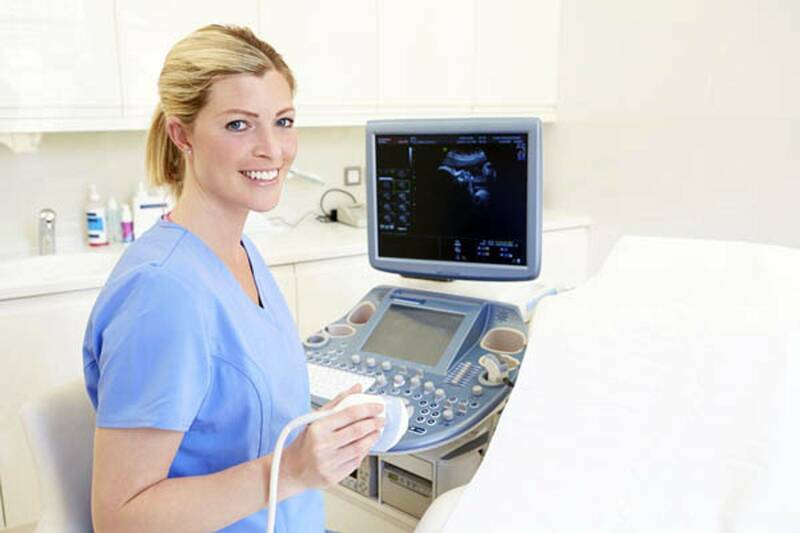 Lake Heart Specialists performs different types of ultrasounds in order to check blood flow, to look at your heart's chambers and valves, and to view blood vessels. An echocardiogram (also known as echo) is an ultrasound of the heart. High frequency sound waves are used to produce a visual image of how well your heart functions. This test provides the doctor with information about the structure of your heart and is used to help diagnose or monitor heart disease. A stress echo is a test that uses ultrasound imaging to show how well your heart muscle is working to pump blood to the rest of your body. It is most often used to detect a decrease in blood flow to the heart from narrowing in the coronary arteries. During a stress echo, you will exercise on a treadmill while a highly-trained technician monitors your EKG and blood pressure. A carotid ultrasound is a non-invasive test that uses sound waves to obtain pictures of the inside of your carotid arteries. The doctor will review these images and determine to what extent, if any, these arteries are blocked. Both carotid arteries (one on each side of your neck) will be checked during your ultrasound. This is a non-invasive, fasting test which uses sound waves to obtain pictures and measure the speed of blood flow in your abdominal aorta. The doctor will use these images to determine if any blockages exist in your artery, or if an abdominal aneurysm is present.